There is no reason to inhibit yourself from expressing your love to someone. The words have a pure intention of kindness and seek to flatter - no harm in that. And while words communicate one's emotions, a gift allows expression of one's affection in a more obvious way. This installment of our DIY Day is a little project inspired from one of our previous collections. 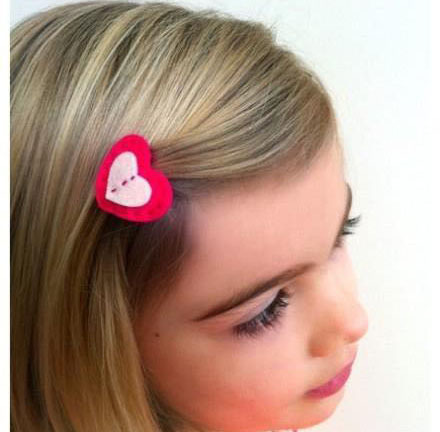 These adorable Valentine's inspired hair clips look so cute! A little present for your daughter, or for your daughter to give to her friends. 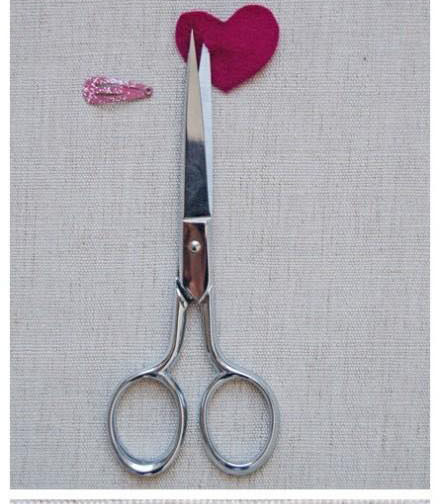 Draw a heart shape over the felt cloth. You can use a stencil for a neat look, or fold the pieces to draw a slanted semi circle. 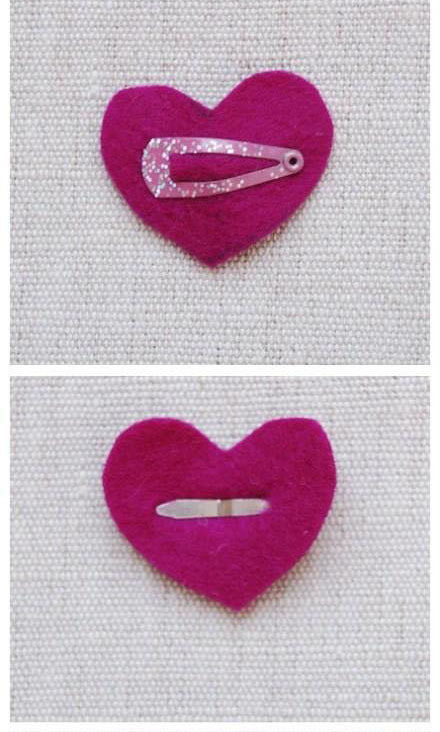 Slide the hair clip through the cut, and close the pin. Cover the top part of the pin using either of the following decorating techniques. 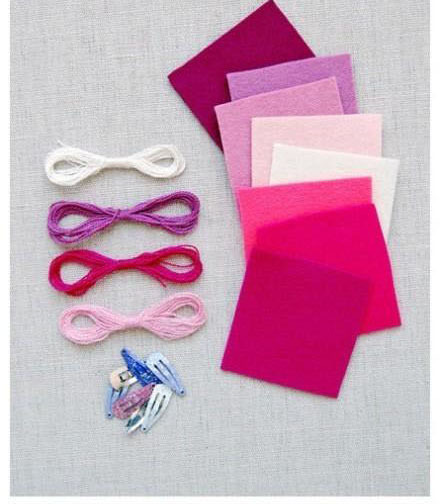 You can glue on top, a felt cloth of same colour, or use a thread of contrasting colour to sew the piece. 5 comments on "DIY Day: Valentine's inspired Hair Accessories"
your website seems really cool and i love the dark shaded extensions! When can you ask a woman she's pregnant?